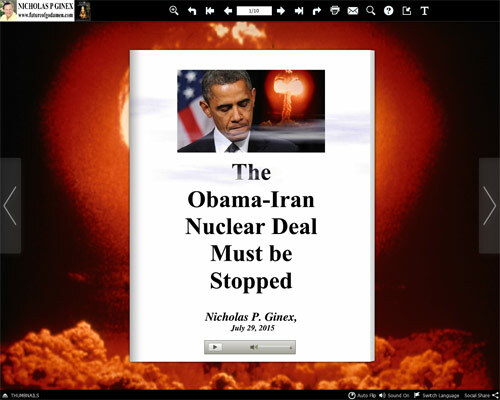 Obama deceives the American people that he has a strong foreign policy. Obama and Clinton blames YouTube video for Benghazi terror attack. Hillary testifies: What difference does it make. ● Secretary of State Clinton supported Obama’s deception of a strong foreign policy by not responding to Ambassador Chris Stevens e-mails/cables to provide military support despite his indication of increased terror attacks. ● As Commander-in-Chief of the Armed Forces, only Obama could have given the Stand Down Orderduring the Benghazi attack. His order prevented military forces from saving the four Americans. ● Obama and Hillary Clinton announced that it was a spontaneous rather than a preplanned terrorist attack caused by a YouTube video to cover-up their culpability of four Americans killed in Benghazi. ● Obama’s early indoctrination of the Qur’an developed his veneration for Islam and an affinity for Muslims by writing in The Audacity of Hope, “I will stand with them should the political winds shift in an ugly direction.” This commitment for Muslims questions Obama’s allegiance for Americans. ● After the attack and before the Nov 2012 election, Obama advanced the YouTube story by stating to the UN General Assembly on September 25th , “The future must not belong to those who slander the prophet of Islam.” One expects a Muslim Leader to announce this threat, not a U.S. President. 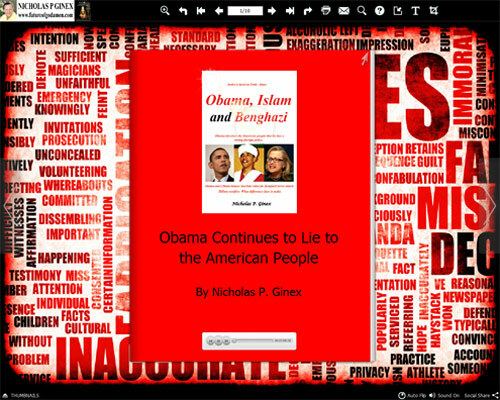 Published in June, 2015, Obama, Islam and Benghazi by Nicholas Ginex reveals President Obama deceived Americans by announcing he had a strong foreign policy prior to the November 2012 presidential election. 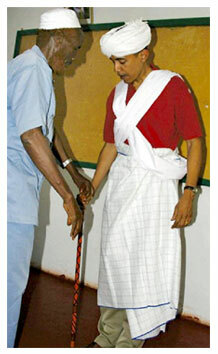 This deceit involved Secretary of State Hillary Clinton who was complicit by supporting his advocating normalcy in Africa. Promulgating a successful foreign policy affected their performance and compromised the safety of Americans in Benghazi, Libya. On September 11, 2012, their actions contributed to the deaths of four Americans, U.S. Ambassador Chris Stevens, Sean Smith, Tyrone Woods, and Glen Doherty. Hillary Clinton supported Obama’s deceit of having a strong foreign policy, by not replying to e-mails/cables by Ambassador Chris Stevens, which indicated increased terror attacks. By not responding to Steven’s e-mails, Clinton is culpable for the deaths of four Americans because she was negligent in protecting the Benghazi Embassy from Islamic attacks. At the start of the terrorist attack, president Obama compounded his deceit by giving a Stand Down Order. This order prevented nearby military forces to intercede and save the four Americans. After the Benghazi attack, this deceit continued as Obama and Clinton covered up their ineptness by blaming the attack on a YouTube video. 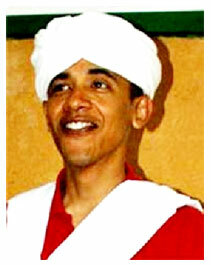 Obama, Islam and Benghazi reveals why Islam is a threat to the world. It describes why The Qur'an is the source of discontent in many countries in Africa, the Middle East and Europe; America may be next. It lists atrocities advocated in The Qur'an by indicating the punishments and commands that are inculcated into the Muslim mind. This statement is expected by a Muslim Leader not the President of the United States. The last chapter further details the fabricated lies by Obama and Clinton. Americans must support the Select Committee on Benghazi to investigate the culpability of Obama and Clinton in the deaths of four Americans. Listed are 31 questions, which include those by Senator Ted Cruz. Clinton must be dismissed from office for destroying the server(s) and relevant e-mails from Ambassador Chris Stevens. Cover up and lies to the American people by Barack Obama and Hillary Clinton are cause for his impeachment and her dismissal from any government office.